I’m sure almost everyone can agree on one thing, Jesus sided with the outcasts and oppressed. He was at odds with the Pharisees and hung around the poor, weak, outcasts, foreigners and prostitutes. Jesus was himself from the edge of society with a ministry to those who were considered the least. Jesus didn’t choose only outcasts to hang out with nor did He spend time with them because they were outcasts. He was the very opposite of the established religious groups in that He saw those considered to be outcasts as worthy of taking His message to in the first place. He ignored their outcast status and shared His message with all – the elites and the outcasts and everyone in between. To Jesus, all people are capable of receiving His message. And what is that message? 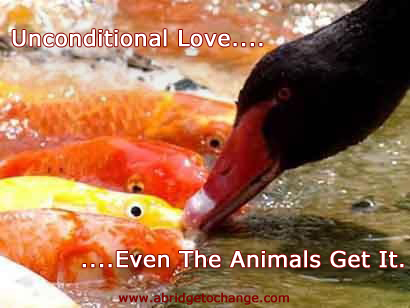 Love…..all inclusive, unconditional love. Inclusive love, a love for all of God’s creation, challenges major fundamental, deep-seated Christian beliefs, doctrines and theologies at the center of society which characterize people who do not fit the definition of the acceptable social norm as enemies of God and routinely mistreats, oppresses and excludes people from the community of faith and its institutions. Countless people rejected by the Church were burned by Bible believing Christian flame throwers. Many have contempt for the Church and all things religious often times from exposure to oppressive theology and tradition. It is neither Christ-like nor spiritual to be oppressive. No person is born with a destiny to be oppressed or to oppress others. Jesus is all about an incredibly, exclusively, inclusive love. And as Christ followers we should be about the same. Jesus’ life is a perfect example of how every person should live. He always relied on the Father for what to say, what to do, where to go and when to go. He was as clear as glass, which made Him the perfect vessel for the visible expression of the invisible God. In showing the way to live, Jesus calls us to do the same. As we are totally reliant on the Father, His life of love will express itself through us as though it was us. Jesus defined holiness as perfect love. He lived out this holiness in His daily encounters. He summarized the Old Testament commandments as loving God with the whole heart, mind and strength and loving one’s neighbor as oneself. Who is my neighbor? That question was posed to Jesus and He answered by sharing the parable of the Good Samaritan. Any person that needs my help is my neighbor. It makes no difference who it is. Therefore, anyone and everyone is my neighbor. So how did Jesus live out the life of holiness? Did He avoid certain types of people? No! He reached out to everyone and offered them love. He identified with the socially ostracized person. He identified with the ones that felt as if they were nobodies. He even identified with the ones ostracized by the Church and offered them love. He sat with them. He accepted them without judgment. How will you define holiness? Will you reject and oppress people based on their race, gender, social class, orientation, family, what they’ve done or are doing? Or will you accept them, judgment free with an exclusively, inclusive love? As for me, I choose love. Tagged Agape, church, God, Holiness, Inclusive Love, Jesus, Lifestyle, Love, Love of God, Love Thy Neighbor, Love Your Neighbor, Orientation, Race, Social Class, Unconditional Love. Love must be inclusive always … they will know we are believers by our love, period! They are not awake YET … I dont want to be the one who hinders them by unloving behavior… I choose love also! !